Knight-Thompson Speechwork is pleased to announce we will be offering a three-week Teacher Certification program in Knight-Thompson Speechwork in July 2019, taught by Co-Founder and Director Philip Thompson, with Master Teacher Andrea Caban. The program will be held at UC Irvine, in Irvine, CA. Sessions will take place five days a week, Monday through Friday, except the final week which may end on a Saturday, depending on enrollment. Sessions will run from 10:00 AM to 6:00 PM. A demonstrated ability to use this approach creatively in teaching and coaching. The emphasis in the Certification program will be on individual development and all participants will receive substantial individual attention and mentoring. Participation in the Certification program does not guarantee certification: in some cases we may require additional work to demonstrate understanding and teaching skill. 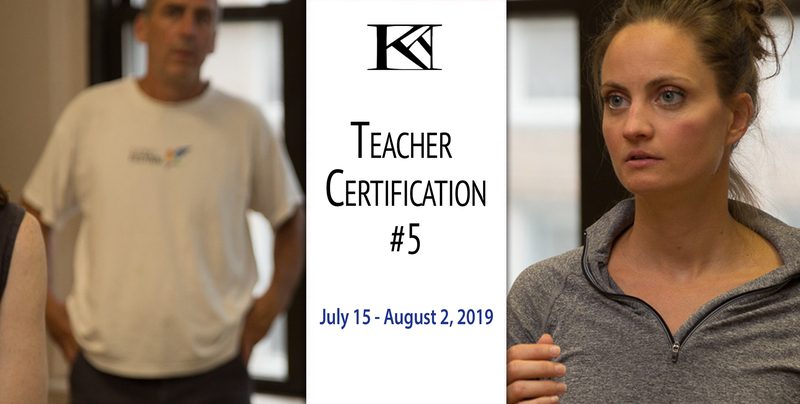 Admission to the Teacher Certification Program is open only to participants who have already taken Experiencing Speech, Experiencing Accents and a Phonetics Intensive*. Prospective participants in the Teacher Certification Program also must have some experience incorporating this approach in their own teaching before going on to Certification. To apply, please fill out the form here. If you are accepted into the program, you will have to return to this page to pay the course fees. Please note that application to the Cert does not guarantee admittance. Upon acceptance, the enrollment fee for the Certification is $3,200. In order to plan effectively for these workshops, it’s important to have a clear sense of the commitment of potential participants. For that reason, we ask for a deposit of $500 to secure your place in the workshop. This is due upon acceptance into the program The full payment is due May 1st. If your plans change, and you are unable to attend, we will refund any payment less $100 if you inform us before June 1st. After that date, however, no refunds are possible. Please plan accordingly.